Feuerzangenbowle! - Kellbot! | Kellbot! In college I had a German friend who made feuerzangenbowle every December, and now it just doesn’t feel like winter without it. Feuerzangenbowle literally translates to “fire tongs punch” and is a mulled wine made with flaming sugar. The sugar cone is a specially made zuckerhut, available through German specialty food stores, and it’s soaked in Bacardi 151. Then it’s suspended over wine that has been warmed and spiced with cinnamon sticks, oranges, and cloves. As the sugar cone melts, it drips boozy caramelized sugar into the wine. If it starts to go out too early, you can pour a little more 151 on using a metal ladle. For the love of god, do not pour directly from the bottle. 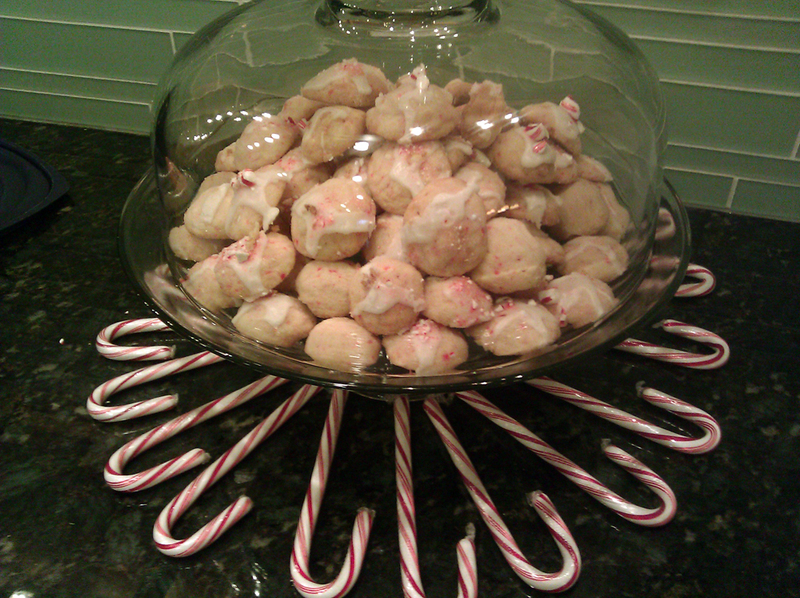 I also made some peppermint sugar cookies, the recipe for which can be found here. I learned something important though: when a recipe says “fun for the kids” it really means “this will be tedious so have an army of slaves to help you.” Drizzling the glaze and decorating each cookie with candy cane crumbles took forever, which explains why some of the cookies lack decoration. 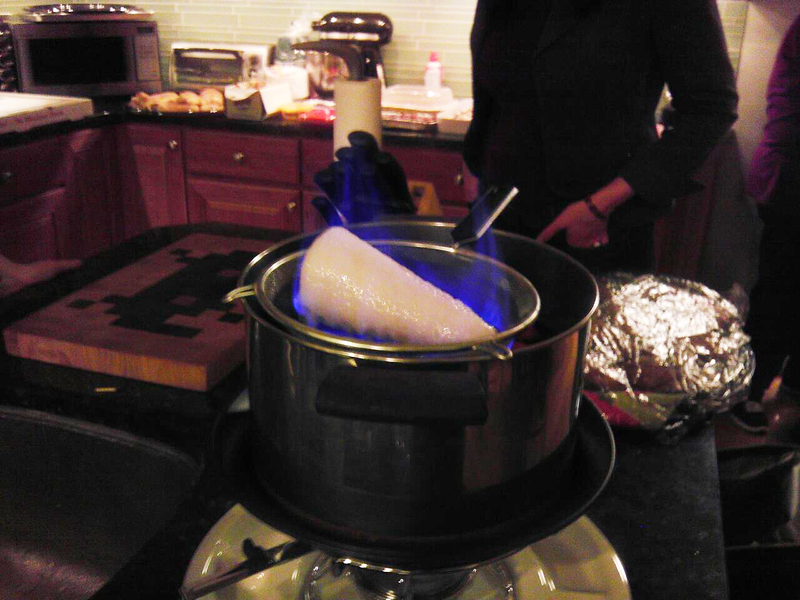 We threw a party for the sole purpose of drinking feuerzangenbowle, and went through about 7 bottles of red wine in all. Plus 4 or 5 cases of beer. Apparently we have forgotten how to throw a “small” party.